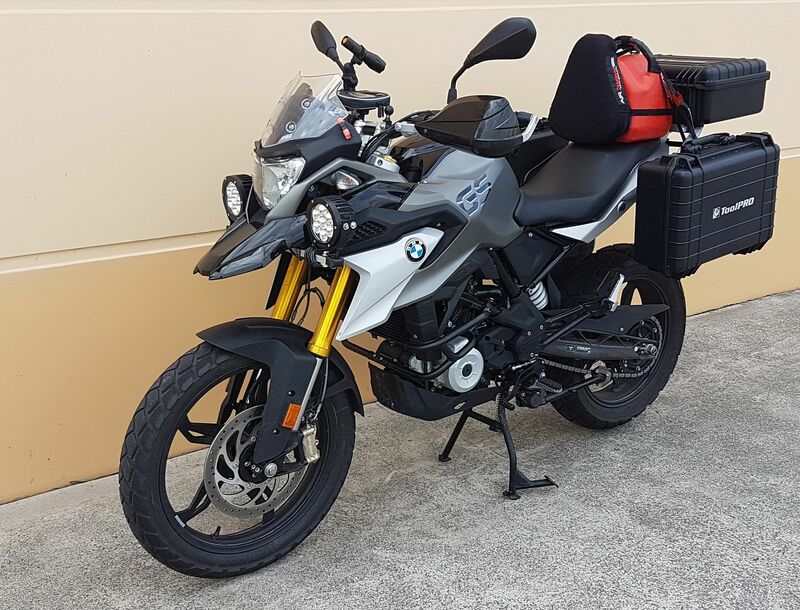 Wondering what type of auxiliary light setups members have on their GS's? if any? I'm considering the DENALI D2 2.0 TriOptic LED Light Kit With DataDim Technology. Wondering if anyone has any direct experience with these or any other Aux lights setups. Would love to see pics of your setup? Currently just finished installing the Hepco and Becker engine and upper crash bars and will likely mount to the bars somewhere. Would love to see pics of similar setups and would be interested in what style of mounting bracket you used. Thanks. I fitted The standard DMs on mine and they are great. I also used the Denali light mounts which are fully adjustable so you can fit them almost anywhere on the engine bars. They were very simple to mount. I used a length of alloy tube with rectangular section and found 2 bolts up under the headlight/beak that were perfectly located. Gtown and Tukemeister like this. I've put lights on heaps of bikes. The crash bars can be very handy. I put in gold runway Exp4 v5 lights. 3000lm each @25W. Mounted to the Hepco Crash bars. Could you post a picture of where the bar is mounted to and the location of the 2 bolts please. I want to do the same. They look a bit too close to the turn signal lights and they may make them less noticeable. OX 34. 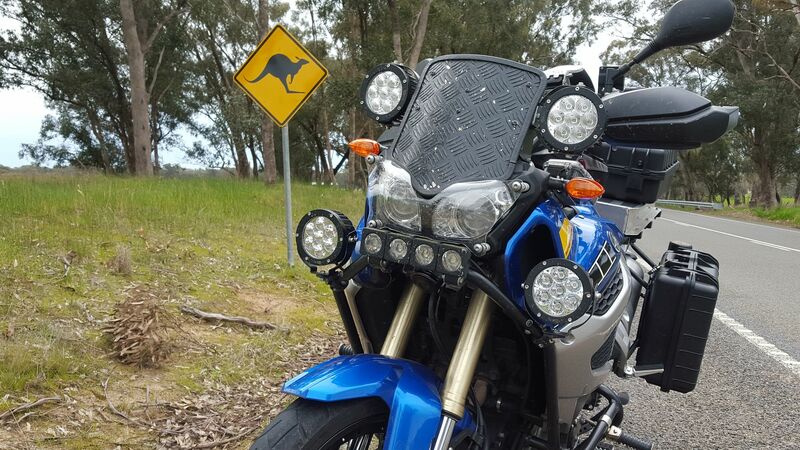 Now I understand why there are so many UFO reports in OZ!....drivers in the opposite direction, at night, have witnessed you coming towards them with all these lights on.